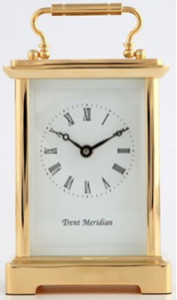 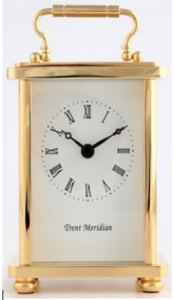 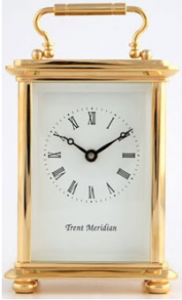 High quality solid brass / gold plated carriage clock with bevelled crystal glass. 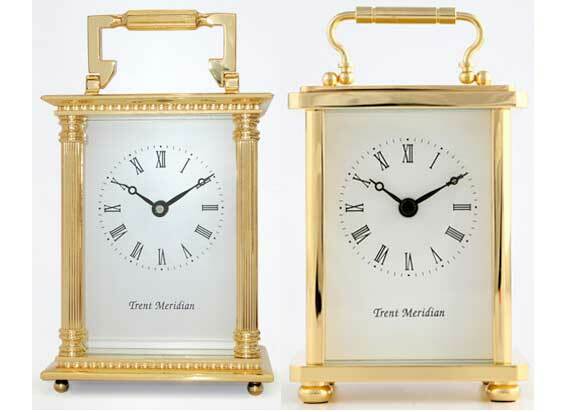 Solid brass 8 day mechanical movement with jewelled lever escapement or high quality quartz Japanese mechanism. 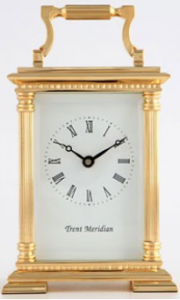 White dial with black Roman numerals.